The bride and groom and I planned to hurry out to this spot right after the end of their wedding ceremony at the Golf Club at Newcastle for sunset portraits, but after various delays, it was nearly night by the time we arrived. 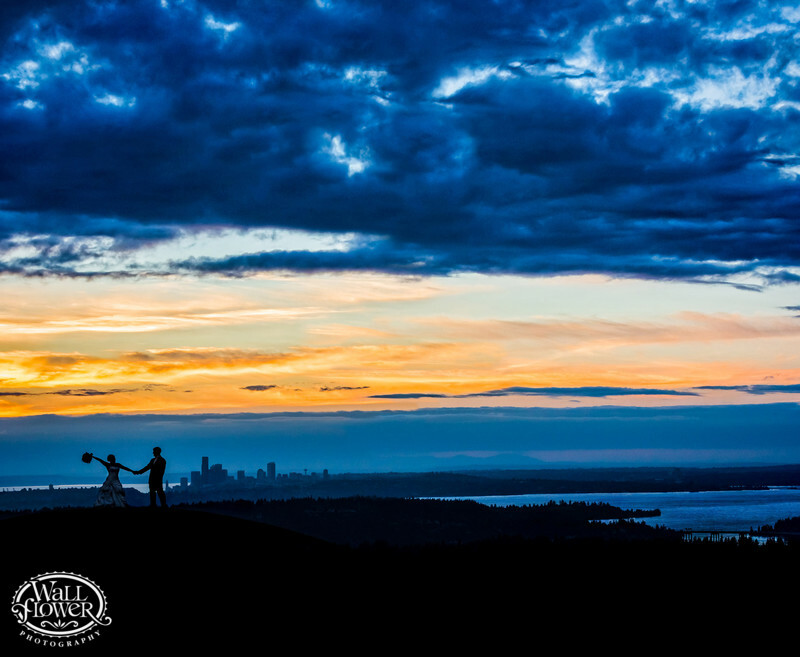 I had to work fast, but still captured a variety of beautiful photos, most of which made excellent use of the colorful clouds and view of far-off Seattle skyscrapers and Lake Washington. This wide-angle photo that takes in the whole scene was my favorite, and a perfect fit for this photo gallery.